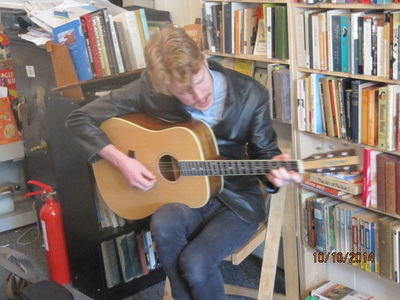 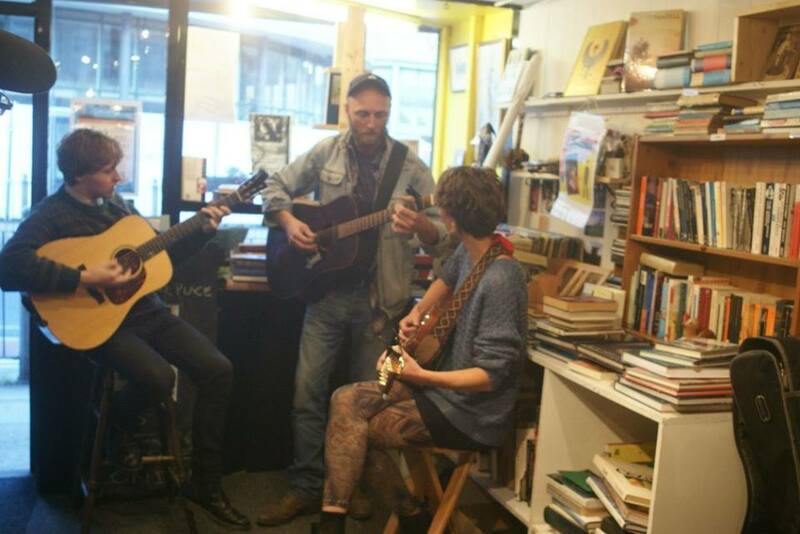 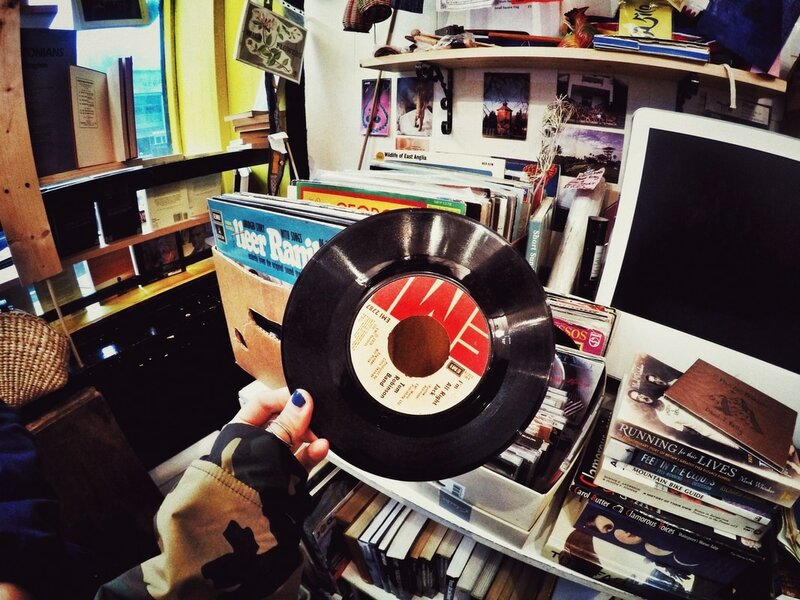 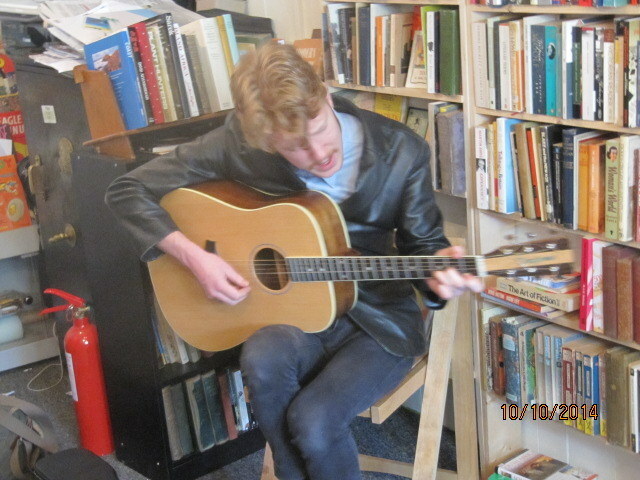 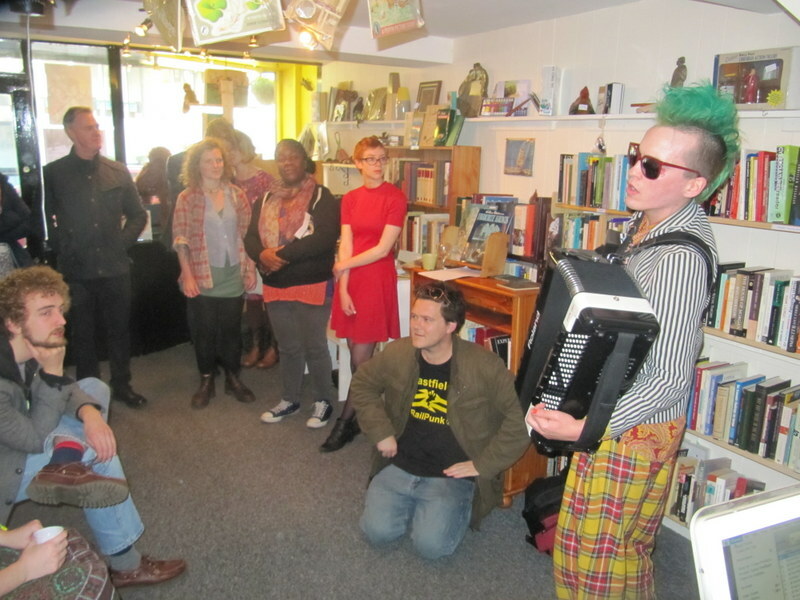 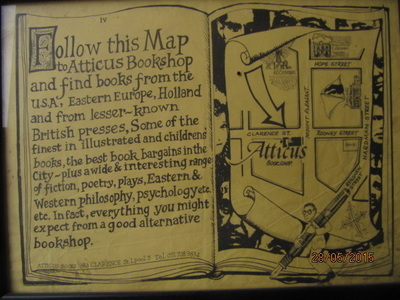 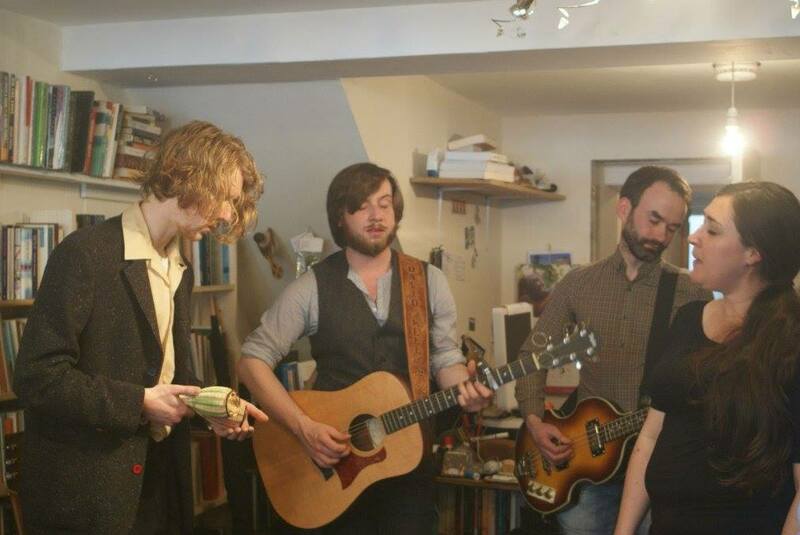 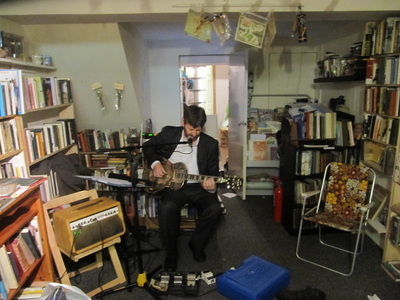 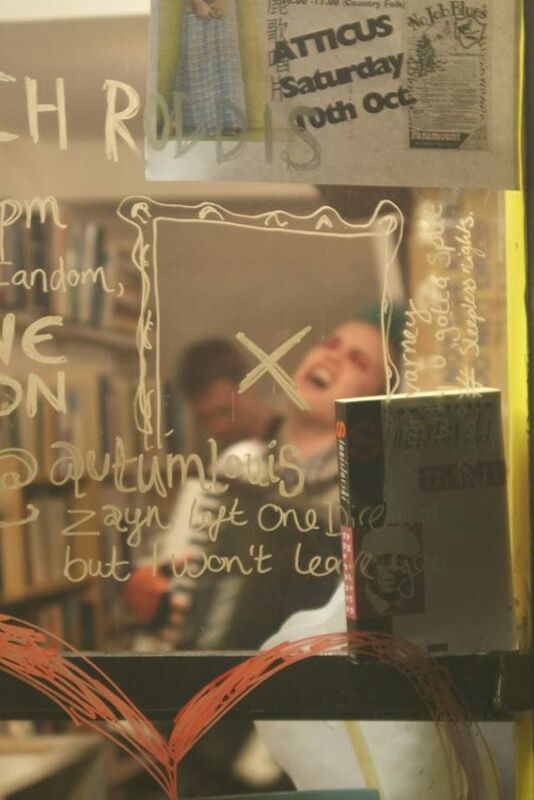 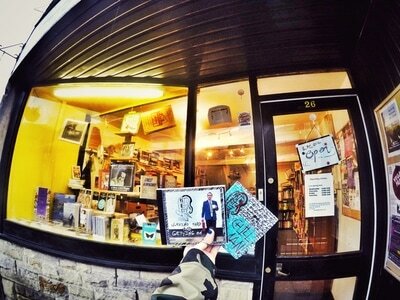 Atticus was started as bookshop coffee bar above the legendary Probe Records in 1971 by Tom Flemons and Liz Mac Garvey. It also became home to the famous Atticus Chess club. 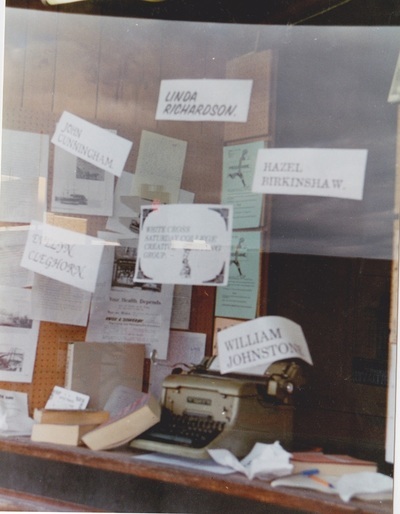 We wanted a name beginning with A to be near the top of the bookshop listings and one with some literary connections. We put a few in a hat and Atticus came out, Did we consider Aardvark? 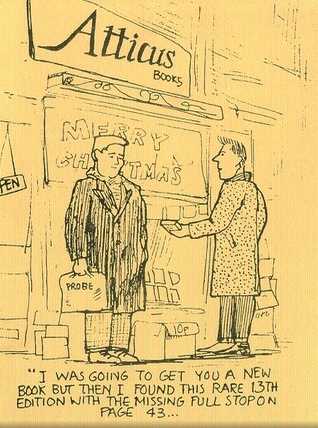 We did, but not for long. 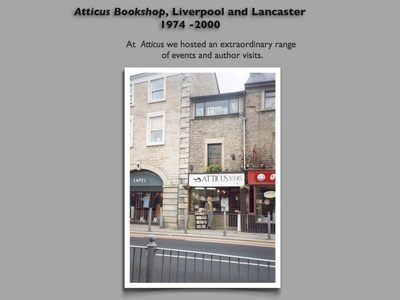 Atticus has always been a shared enterprise and has only survived thanks to the help of its staff and loyal customers. 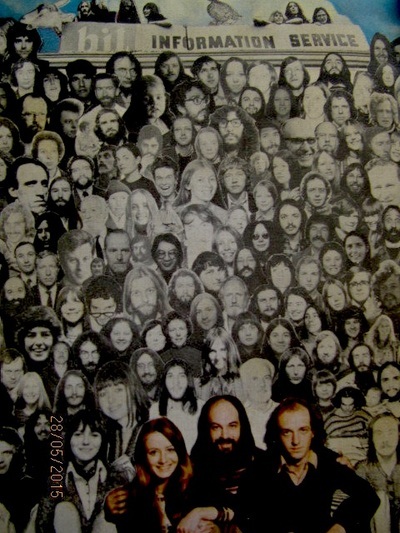 Too many people to name but you can see some of them in the pictures below. 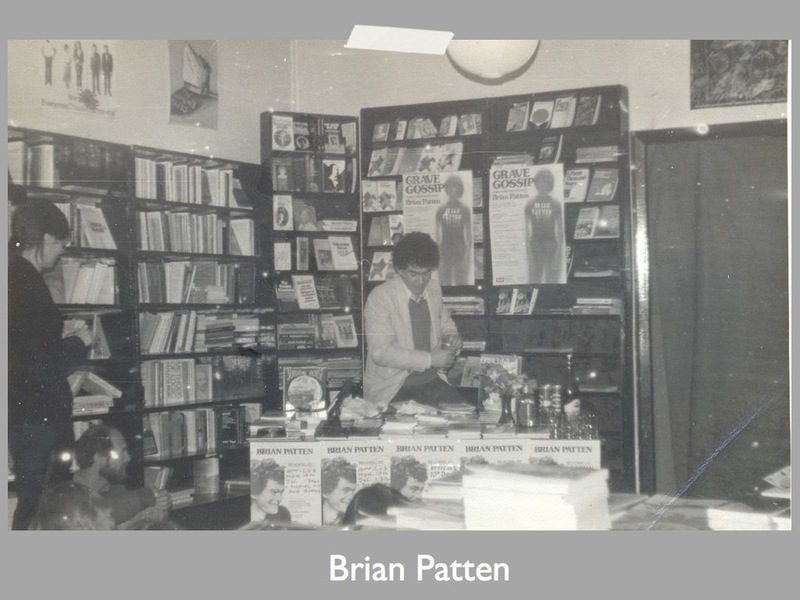 Things have changed enormously with the rise of the internet and perhaps the small bookshop has had its day, nevertheless I feel that the need for the presence of a small physical 'alternative' space that can be used by writers, readers, artists and musicians has never been more needed. 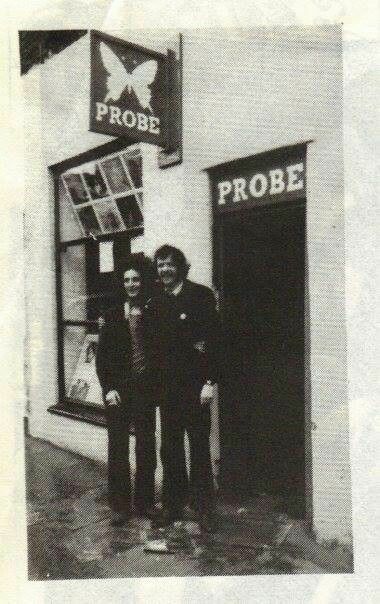 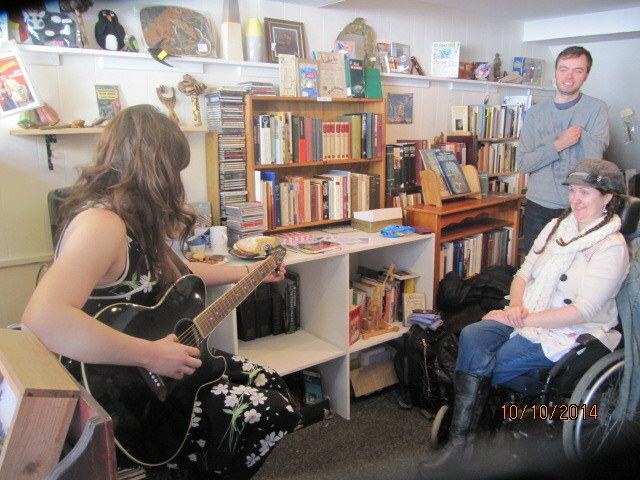 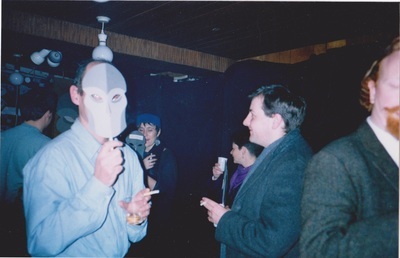 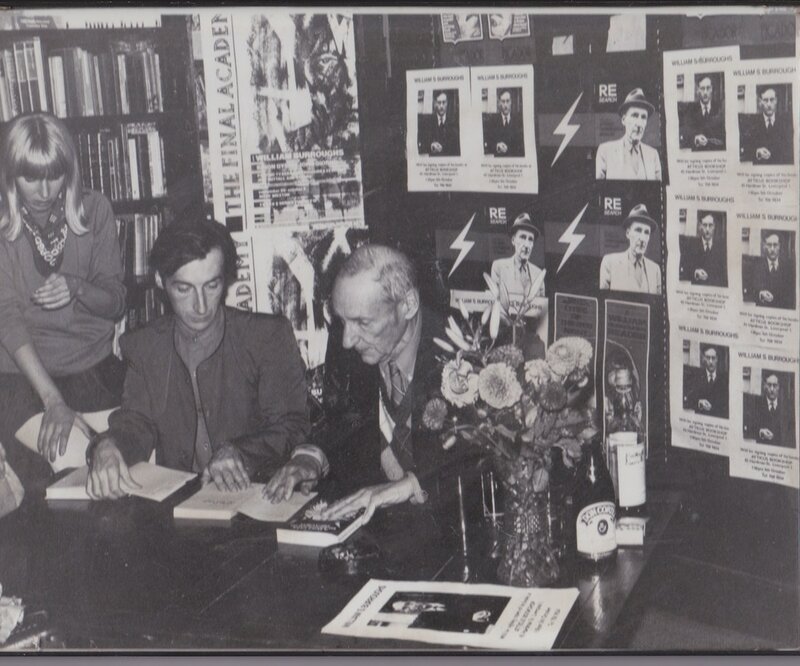 Jill McArdleWhen Probe moved into the city centre Atticus moved to a larger shop on Hardman Street where it hosted signing sessions and readings from William Burroughs, John Cage, Brian Patten, Michael Horowitz, Ramsey Campbell, Gilbert Shelton and others. 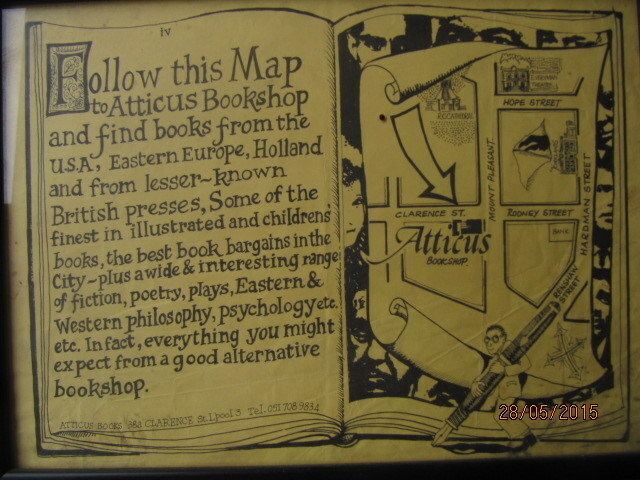 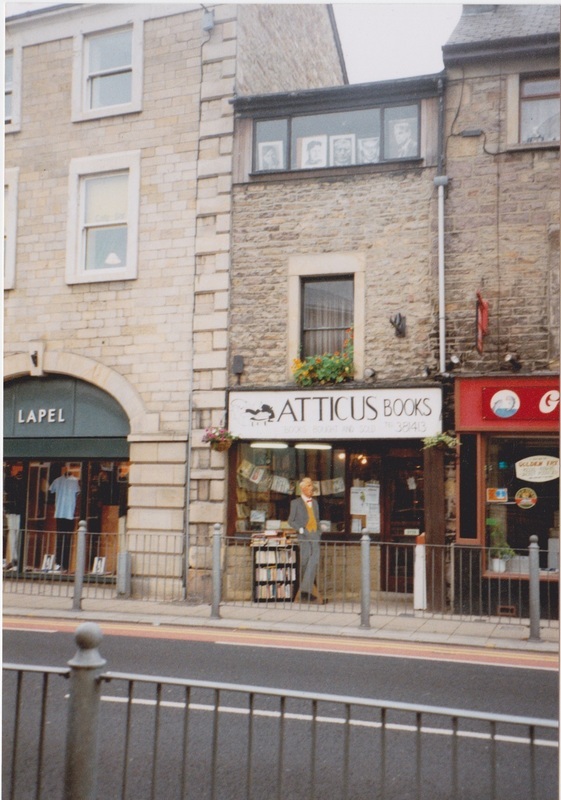 Running into financial difficulties in the 1980s Atticus moved into secondhand books and relocated to smaller premises on the same street. 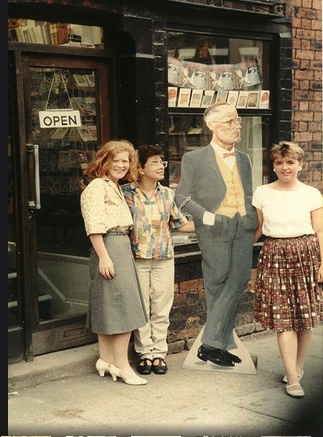 One of the distinctive features of the shop was the cut out figure of James Joyce made by Geoff Johnson. 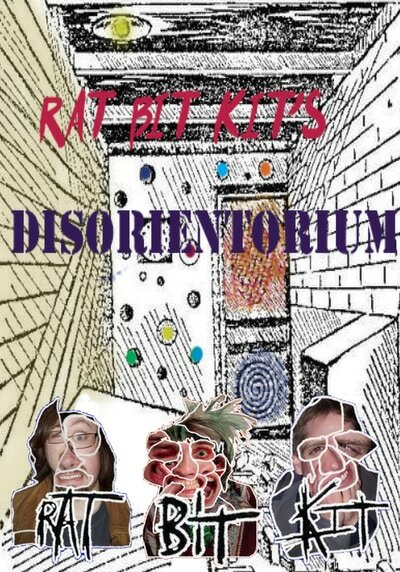 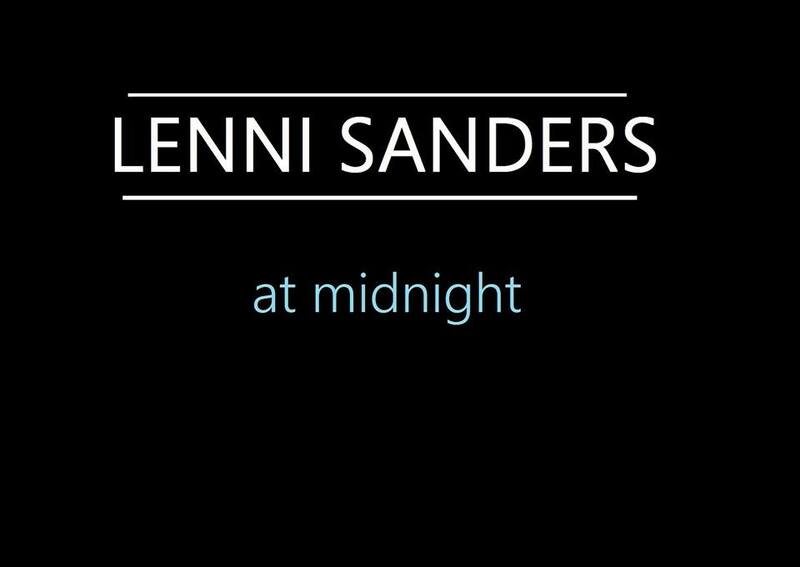 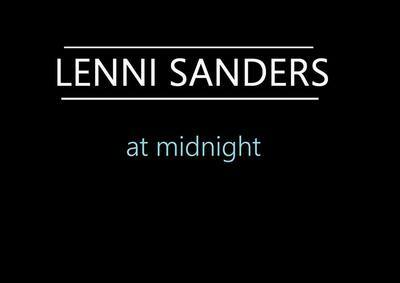 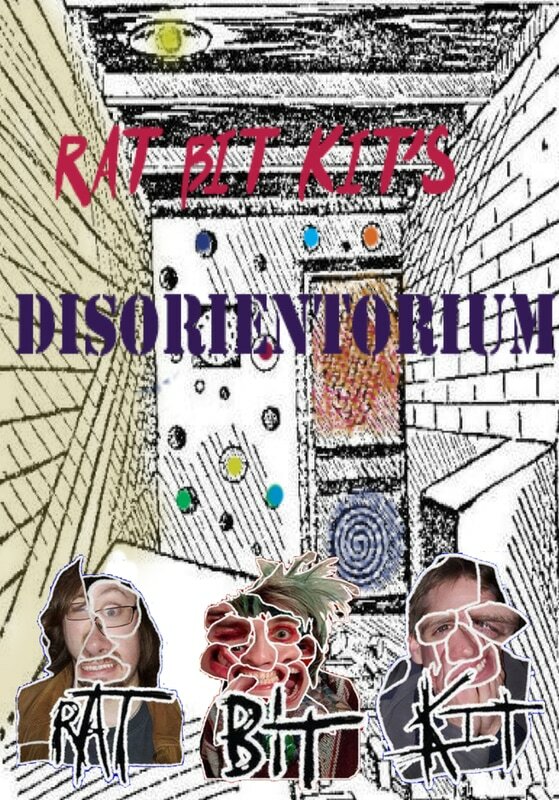 Geoff also designed our distinctive advertising. 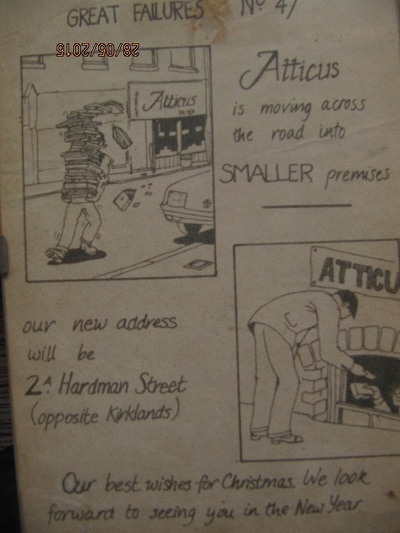 Jill McArdle helped to run Atticus after it moved to Hardman Street and organise all the major events. 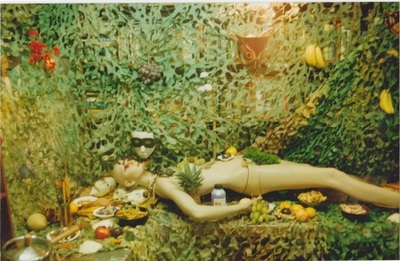 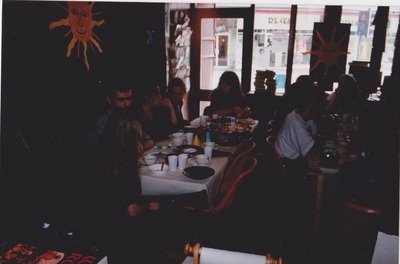 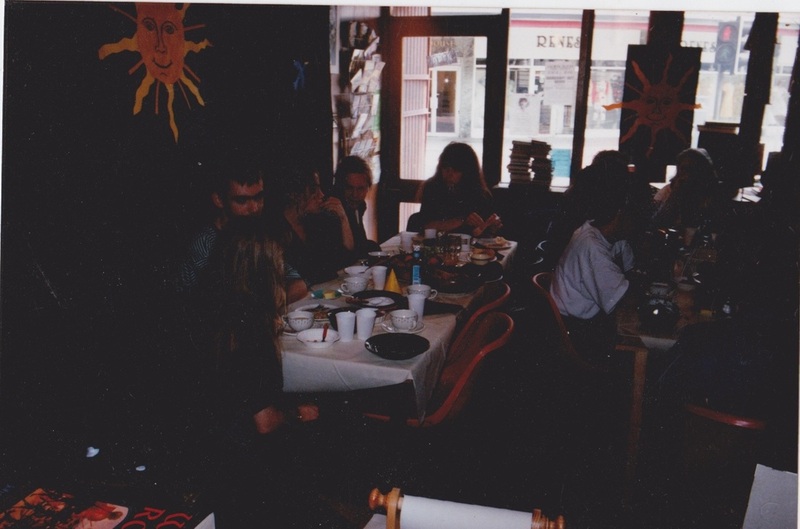 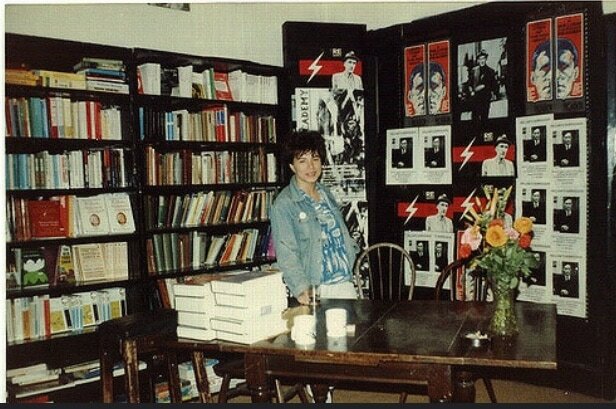 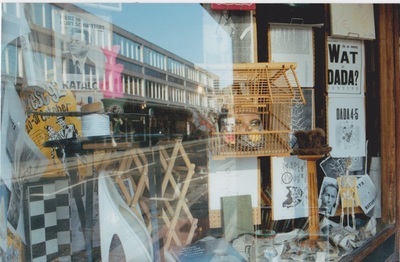 In the 1990s as second Atticus opened in Lancaster by Tom and the Liverpool shop continued to be run by Jill McArdle for several years more until the lease expired and it finally closed. 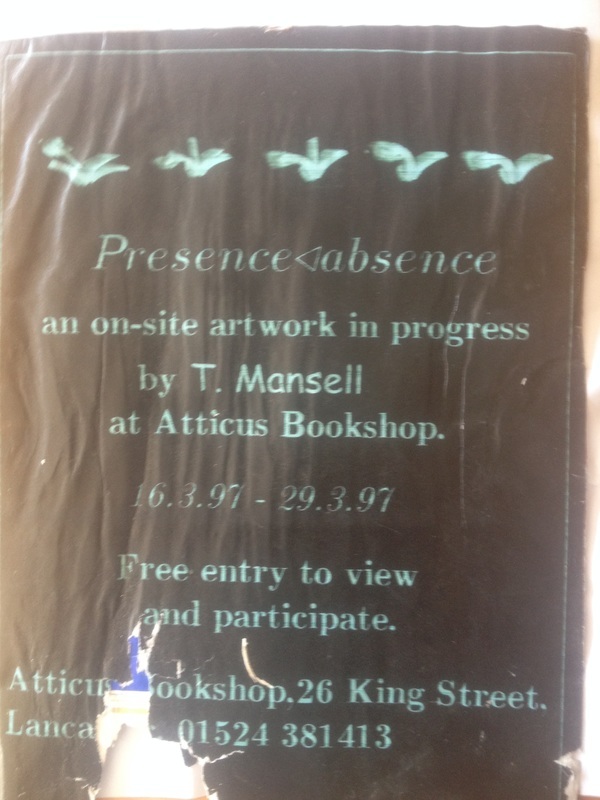 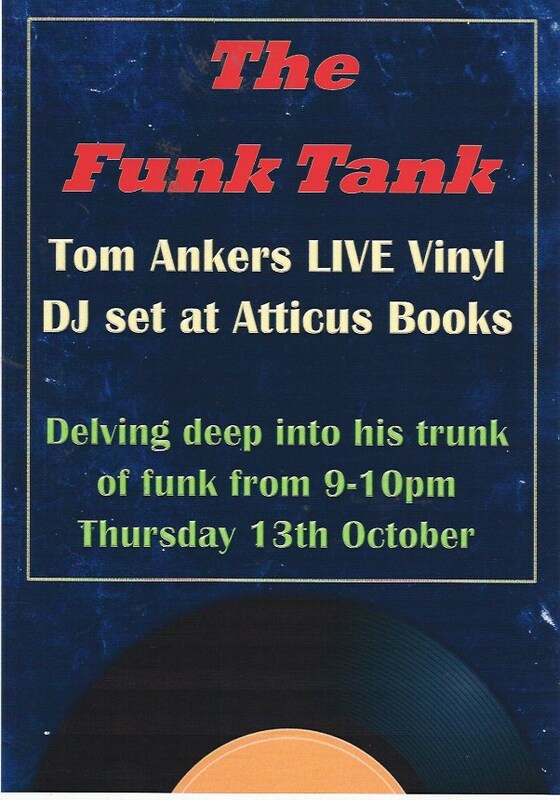 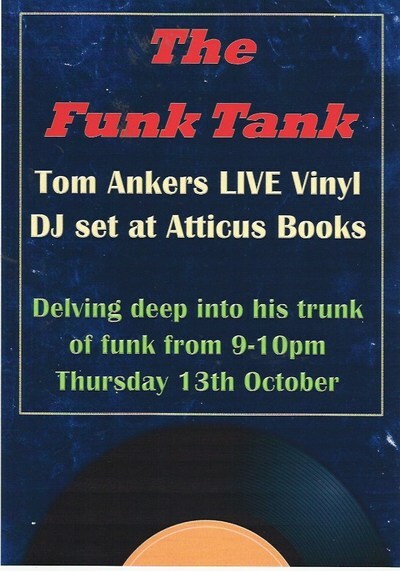 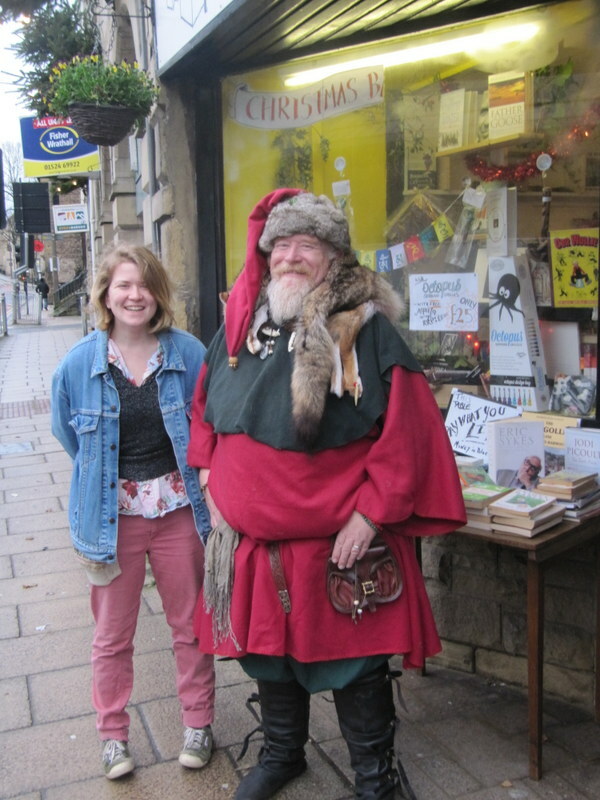 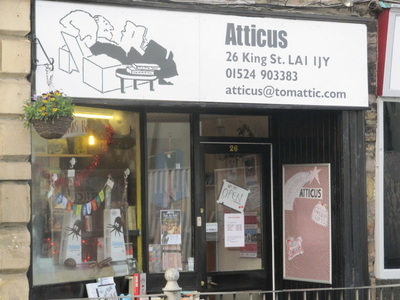 Atticus Books in Lancaster survived until 2001 until it finally closed and Tom moved to the Midlands and a full time job promoting arts events in libraries. 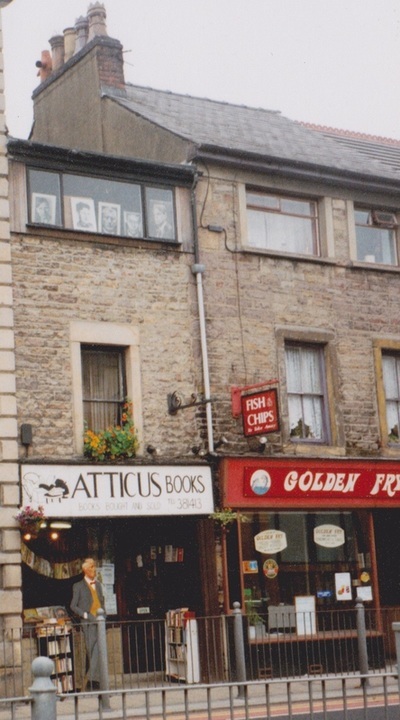 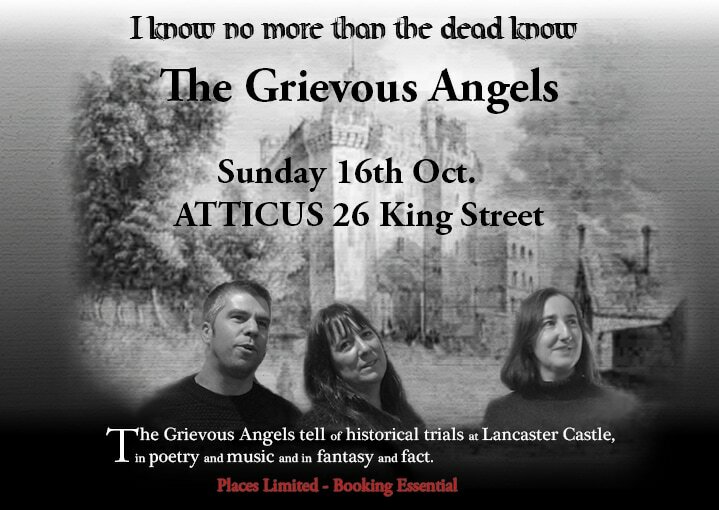 Atticus in Lancaster was purchased with a £40,000 bank loan and survived just long enough to pay it off. 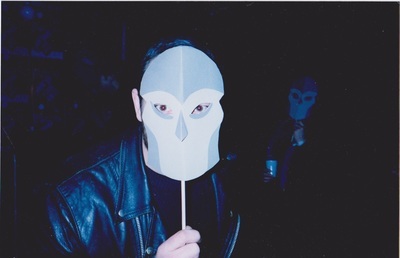 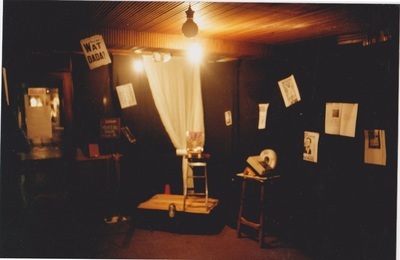 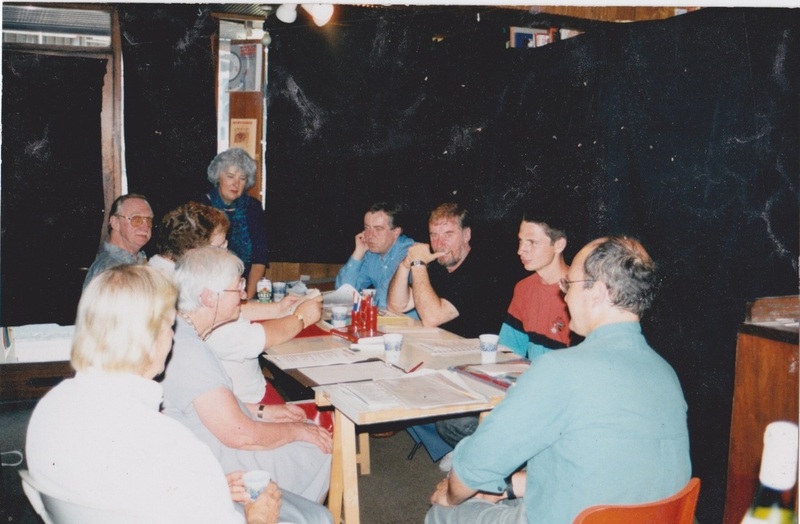 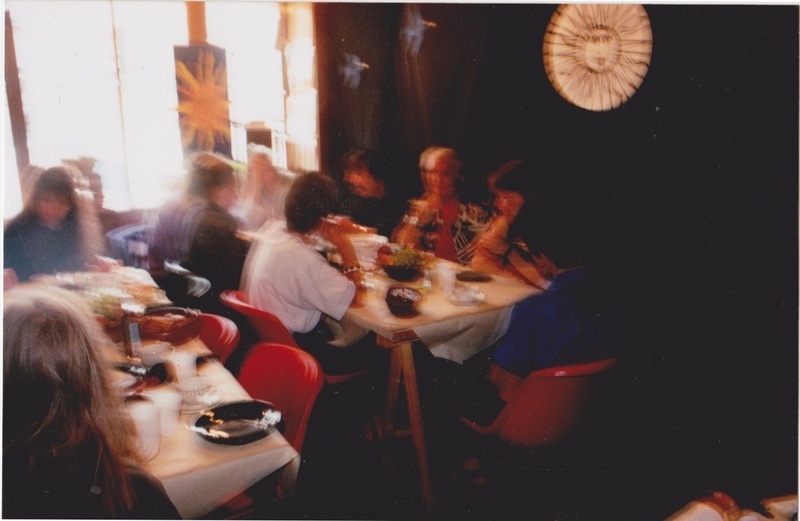 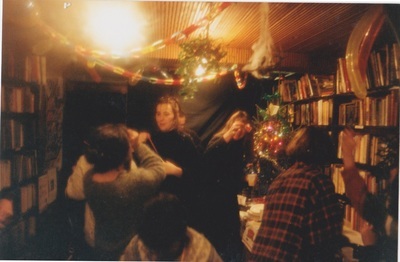 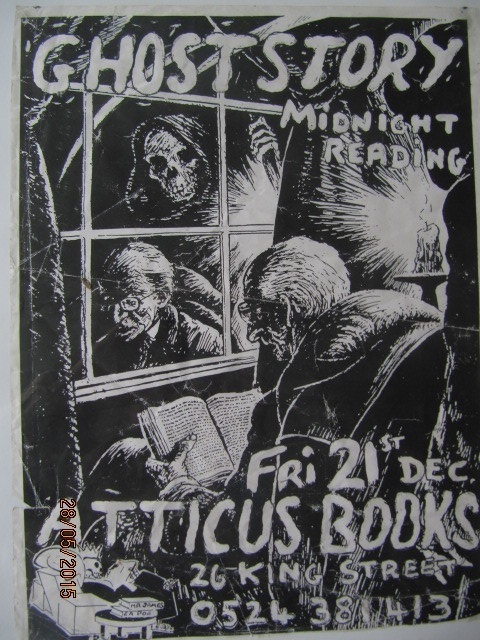 During the 1990s Atticus put on many events, including the notorious Ghost story competition and reading and the Dada Feast, as well as hosting a writing group. 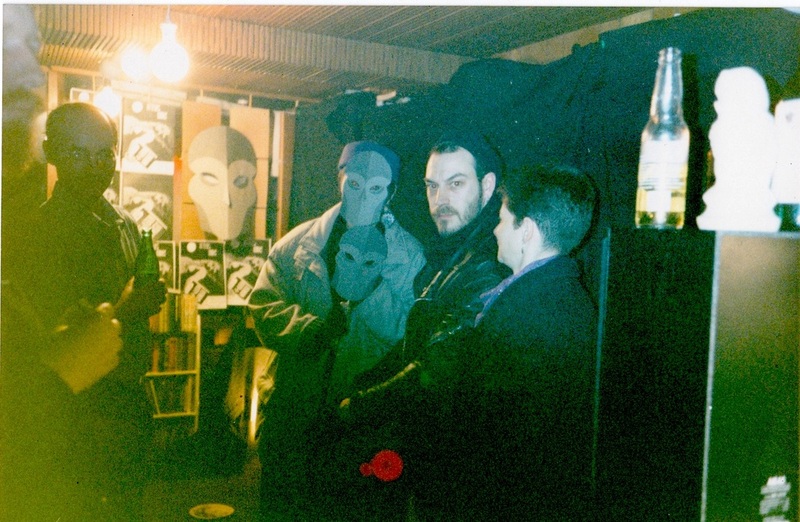 it was during this time that writer and broadcaster Ian Marchant worked in the shop. 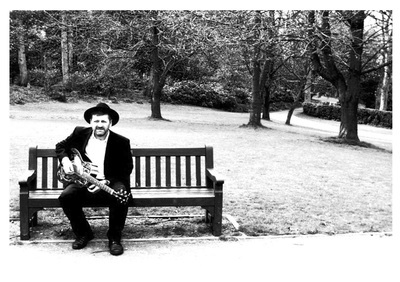 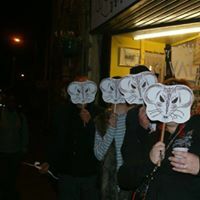 The shop closed in 2001 when Tom left to take a full time job promoting arts events in Staffordshire and Stoke on Trent libraries, followed by four years at The School of Oriental and African Studies studying Indonesian Language. 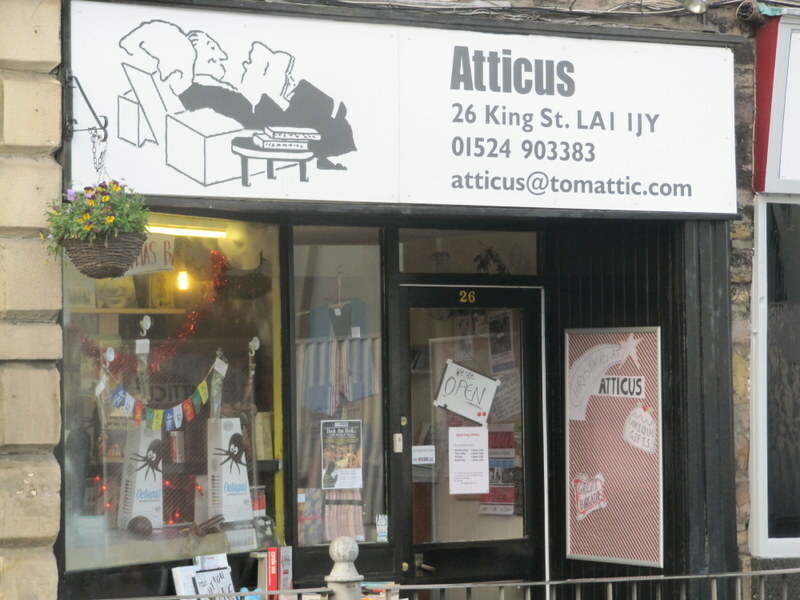 In 2014 Tom returned to Lancaster to reopen Atticus as a not-for-profit shop supporting Tasikoki Animal Rescue Centre in Indonesia where he had spent time doing voluntary work. 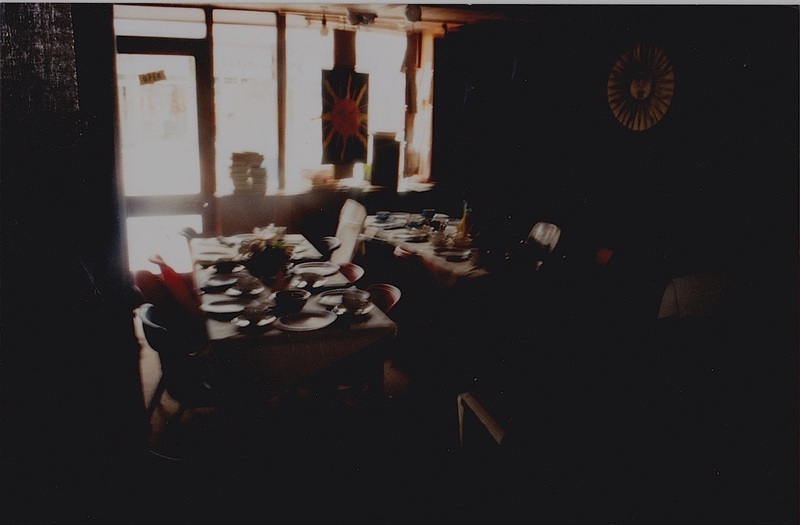 The pictures below tell some of the story. 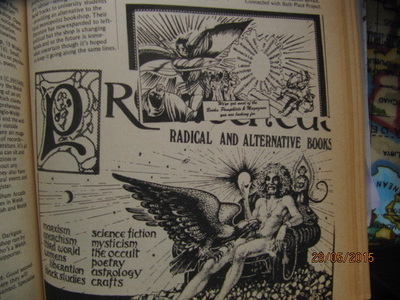 Atticus was part of the 'alternative' scene in the 1970s. 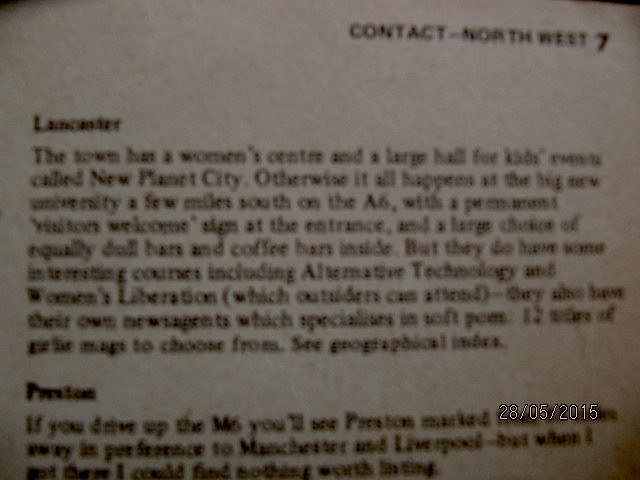 This is the back of Alternative England and Wales. Spot Tom! 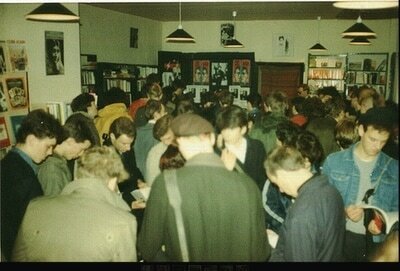 One of the most popular signing sessions ever. 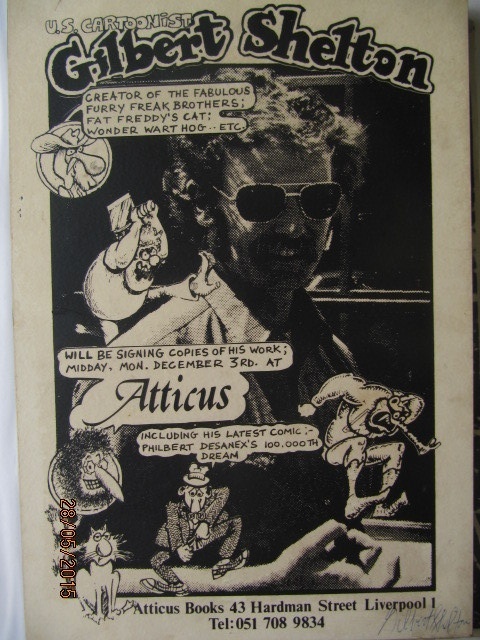 To cope with the crowds Gilbert Shelton signed with a rubber stamp! 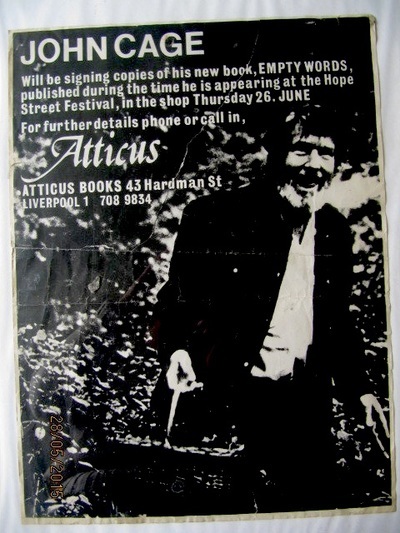 The last Liverpool Atticus. Liz, Jill, Sharon and James Joyce. 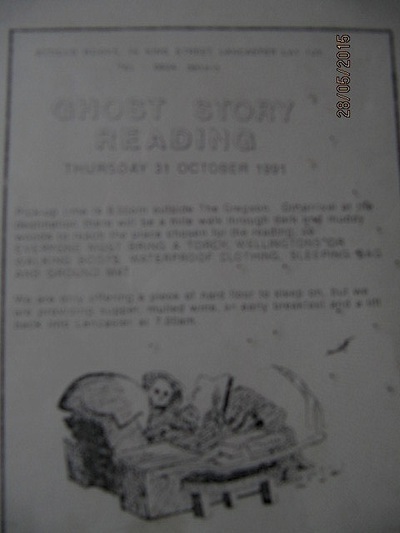 Ghost stories in the shop. 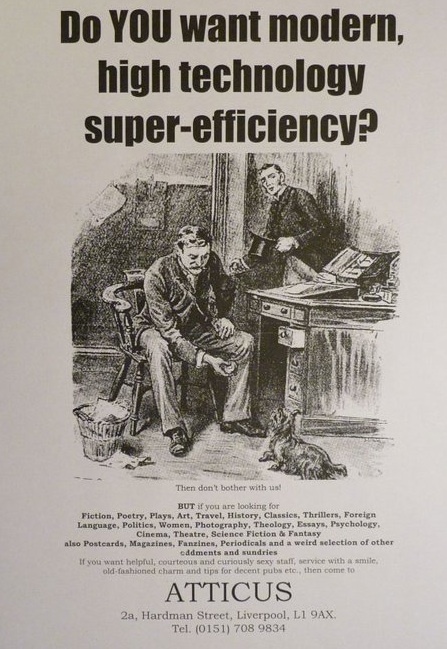 Poster made before our first computer! 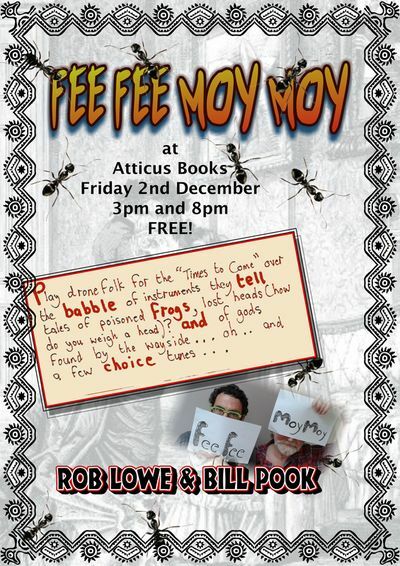 Atticus and the Golden Fry! 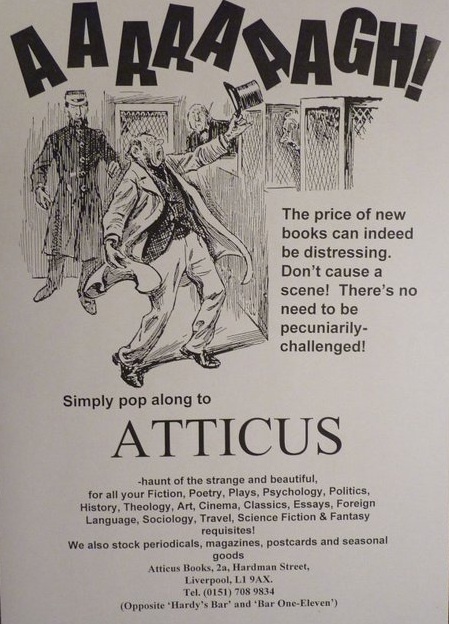 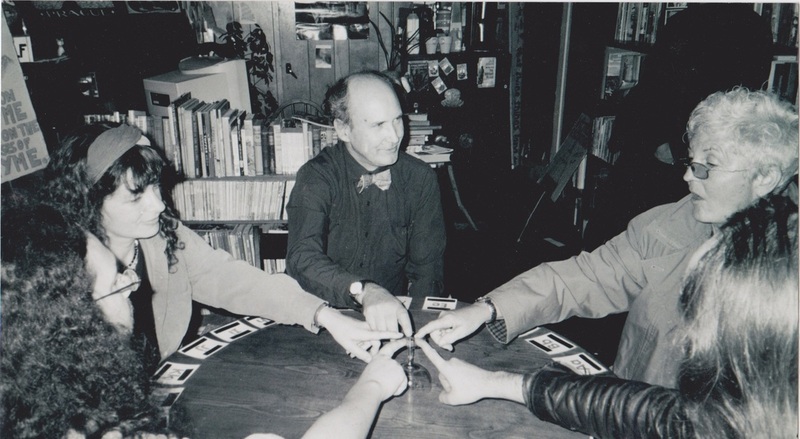 Atticus Seance. 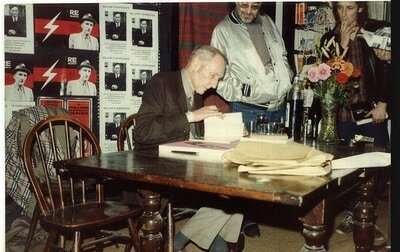 and Shakespeare signing session. 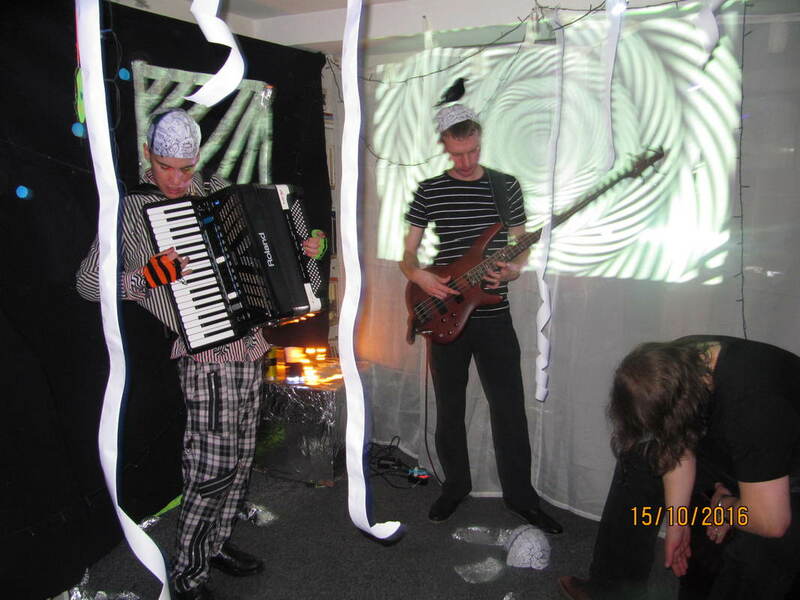 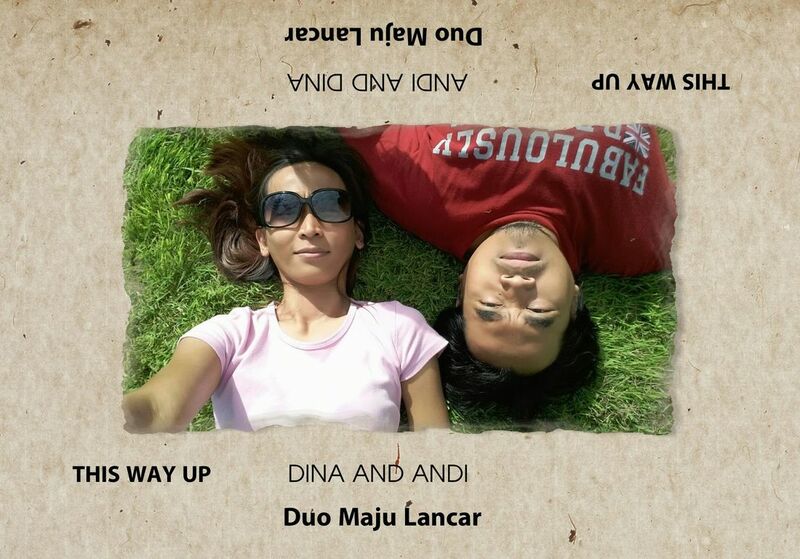 Music Festival 2015. The Rat's Nest. 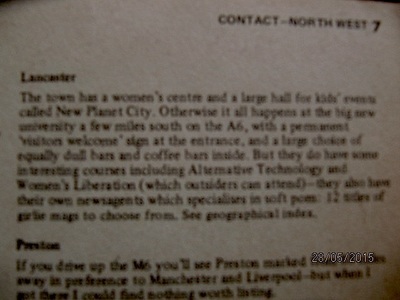 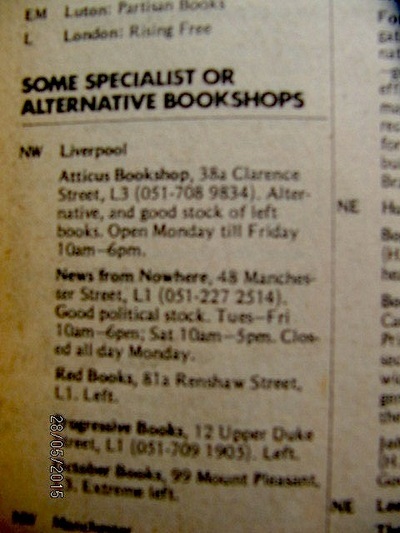 If you have any pictures of Atticus in Liverpool or Lancaster (Or if you know the whereabouts of James Joyce!) please let us know.